With best wishes for 2018 OE3YTA- Tina MAFC YL Officer. All YL's, from ADL`s (Austrian District Locator) and other organizations are welcome to join. Celebrates the 115th anniversary of the first USA to Europe transatlantic message sent from Marconi's South Wellfleet Station USA to his Poldhue UK station January 18, 1903. KM1CC will operate from FN 51 – a rare grid for the International Grid Chase. KM1CC's temporary ARS for Jan 18-19, 2018 will be located inside the large Coast Guard Building, Coast Guard Beach, overlooking the Atlantic Ocean. The station was built in 1936 for the US Coast Guard and used for shipwreck rescues. The building was transferred from the US Coast Guard to the National Park Service in the early 1950's. It served as the first headquarters for Cape Cod National Seashore. It is now used as an education center. Radio operators are on schedule for a 13 January departure to Bouvet Island, the World’s most isolated island and the number 2 most wanted DX entity. All team members will meet in Punta Arenas, Chile no later than 10 January 2018 and will board Chilean vessel M/V Betanzos in the South Shetlands, for a 9-11 day sea voyage to Bouvet Island. It is with deep regret that we must announce that the key of Mimi Roach, ZS5YO, went silent on Saturday 25 November 2017. 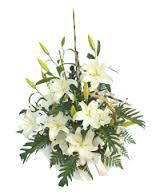 We extend our sincere condolences to her daughter Molly, W0MOM (ex ZS5MM and ZS1KE), son-in-law Gordon, W0RUN (ex ZS1FE and ZS5SL), grandchildren, family and friends. Fw from Brian ZS5AZH (SA MM Net) - She forgot to renew her licence, so N1QFE is no more !! When she arrived in Nome ,Alaska – northern Bering Sea - she re-wrote her HAM exam and has been allocated the call-sign KL4MX. “ No promise for regular reports though, as propagation is often poor and relay stations are rare in these high latitudes. It is my intention to poke Nehaj's nose through the notorious Bering Strait. Once in the Arctic Ocean we will decide the further route, which might well be the scary one. But there's still tons of solid pack ice up North and we have to wait. But Nome is a great place to idle some time and to get body and hull ready. There's many good, honest people here too. I'm in the 'Small Boat Harbor' where the fishermen are very friendly. Nehaj fits right in between all of the aluminium work boats, about our size as well. The lucrative crab season has just started and with 24 hours of daylight above 64 degrees North, they can set and retrieve their pots at any time of the day. The other floating dock is reserved for the gold diggers who have about the wildest floating constructions. Apparently the 'Golden Beaches of Nome' are still productive, they just have to dig a bit offshore now. Tough divers guide the suction hoses and the whole lot of those adventurers is a crazy bunch. But it's said that some of them are doing very well, others lose their last pennies in their gold fever. So really, not too much has changed since the first gold rush into Nome 116 years ago. And there's still surprisingly many pubs where umpteen of those shiny nuggets stay in town after all. I was fascinated by the traditional and extremely skilled carvings of Alaska Natives. They use walrus ivory, whale bone and even mammoth or mastodon. Most of them originate in St. Laurence Island, only 40 miles off Siberia. It seems that I was drawn to the carvings called 'Spirit of the Driftwood' in a strange way. Maybe those two small discs of walrus tusk on the bulkhead of Nehaj will have an eye on us during our future driftwood journeys? 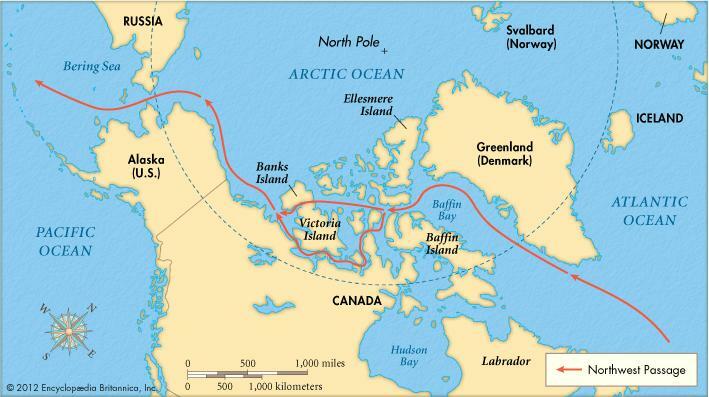 An historical sea passage of the North American continent, it represents centuries of effort to find a route westward from the Atlantic Ocean to the Pacific Ocean through the Arctic Archipelago of Canada. The route is located 500 miles (800 km) north of the Arctic Circle and less than 1,200 miles (1,930 km) from the North Pole. It consists of a series of deep channels through Canada’s Arctic Archipelago, extending about 900 miles (1,450 km) from east to west, from north of Baffin Island to the Beaufort Sea, above the U.S. state of Alaska. Reaching the Northwest Passage from the Atlantic requires a hazardous voyage through a stream of tens of thousands of giant icebergs, which could rise up to 300 feet (90 metres) in height, constantly drifting south between Greenland and Baffin Island. The exit to the Pacific is equally formidable, because the polar ice cap presses down on Alaska’s shallow north coast much of the year and funnels masses of ice into the Bering Strait, between Alaska and Siberia. In the past, the Northwest Passage has been virtually impassable because it was covered by thick, year-round sea ice. However, in the past few years, climate change is allowing commercial traffic to pass through the Arctic Ocean via this once-impossible route. Norwegian explorer Roald Amundsen and his crew were the first to cross the Northwest Passage entirely by sea in 1906. It took three years. The first single-season trip through the passage was by Henry Larsen and crew in 1944. In 1957, three United States Coast Guard Cutters became the first ships to cross the Northwest Passage along a deep draft route. They covered the 4,500 miles of semi-charted water in 64 days. From January 31st 2017 until October 22nd Nehaj sailed the distance of 16240 Nautical Miles, 115 days at sea; across the Pacific ocean, through the Arctic into the Atlantic. From a temperate summer at the Antipodes (48° South) across the Tropics to a chilly summer in the Northwest Passage (74° North). The journey started from Tasmania to the Marquesas Islands in the Southern Ocean. I stayed only three days in Fatu Hiva and crossed the equator on March 21st en route to Hawaii. By the middle of May we sailed from Hawaii to the Aleutian Islands in the latitudes of the changeable winds. Each day the water temperature dropped exactly one degree Celsius. Then from Dutch Harbor into the Bering Sea, which in June presented herself as a shallow 'Bering pond' despite the reputation of generally foul weather. I wrote a new US Amateur Radio exam. I had forgotten to renew my call sign of 23 years, so now I'm KL4MX. Nome is the east-bound starting point of the legendary NORDWEST PASSAGE! In my exciting route the distance north of the Arctic circle turned out to be 3.683 nautical miles long. After leaving Nome I visited 14 anchorages in Alaska and Arctic Canada and had the possibility of buying food and diesel in the villages of Cambridge Bay, Gjoa Haven and Arctic Bay. Some patience combined with good weather planning (many thanks to Victor Wejer, Peter Semotiuk and Ham Jerry KL4EDK) made it possible to sail a remarkable 75% of the distance and the Dickinson diesel heater was burning about 60% of the time. 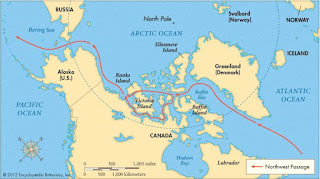 From the Pacific towards the Atlantic I would be following the route of Roald Amundsen! Purely for the reason of a challenge, an adventure only for Nehaj and myself. Naturally I would sail this route solo. But my confidence was very thin and I knew that it was a reckless plan, so I kept quiet about it. The first contact with Victor Wejer in Toronto was absolutely positive. Victor sent me his latest list of detailed descriptions of anchorages as well as charts. I studied the daily ice charts on the internet and the local weather station. East of Point Barrow thick winter ice reached right to the shore (called 'Fast Ice') and the eastern Arctic was still completely closed. I was way too early in the season. AIS (Automatic Identification System) many miles ahead and chatted on the VHF radio. 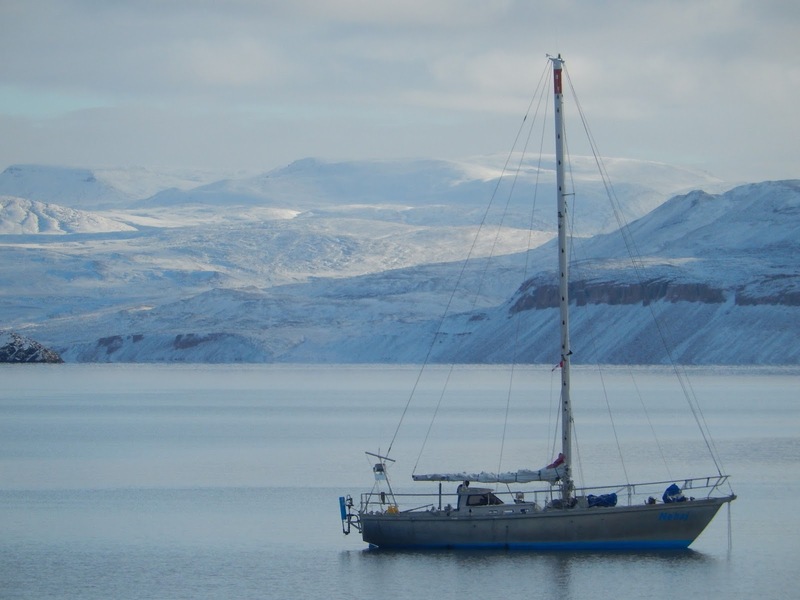 With southerly winds force 2 - 5 Nehaj happily whizzed past the Diomede Islands and through the Bering Strait, she left the International Date Line and all of Siberia ten miles to the west and sailed gently across the Arctic circle. We were sailing quietly through a gentle wet curtain, when suddenly my AIS alarm went off, caused by an unnamed ship only 1.9 miles away, but in the fog I could not see them! Finally we had contact on the radio and managed to clear the situation. After 4 ½ days I dropped the anchor in a depth of only 2.50m in the shallow Elson Lagoon near Point Barrow. Only two weeks ago this huge bay was covered in ice but for my 3 AM arrival all was quiet.A good time to hit the pillow and catch up on sleep. On the evening I left I talked on the VHF radio to a seasoned tug boat captain of 12 Arctic years just outside Elson Lagoon. He was adamant about not carrying on towards Prudhoe Bay in the still very tight ice conditions with a following gale. He had no information about the offshore ice situation, which was where I was going! Between Point Barrow and Herschel Island (440 NM in 4 days) Nehaj had a very impressive and unusual first escapade in the ice, one hundred miles offshore. On the ice charts Victor Wejer had observed a narrow gap surrounded by dense ice. ; it spared me a 3-day-trip on a dangerous and strenuous route close to the coast in shallow water. I never saw them offshore, but during that time friends were visited by a dozen polar bears at the anchorage of Cross Island. The weather stayed unsettled and we often had strong winds and for weeks there were very few calms. Apparently that was why the ice-way to the East was melting very hesitantly. 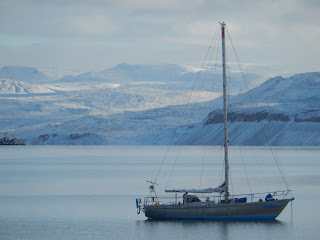 However, it gave Nehaj the chance to sail long distances in completely ice free waters in 24 hours of daylight. On July 29th was the first sunset due North, which created a spectacle for hours with Arctic mirages on this rare clear day. I found good anchorages in Summers Island, Point Pearce and in Cambridge Bay. At Hat Island I explored uncharted waters to find an anchorage close to the wreck of HMS Erebus of the legendary Franklin Expedition. In Simpson Strait we had the first real calms for days and snow geese with their clumsy youngsters were about to head South already! After leaving the small settlement of Gjoa Haven we still had an ice free passage through James Ross Strait and around Cape Victoria. That’s where I spotted big ice floes ahead. After one night at the cape we kept next to the coastline. The massive ice of Larsen Sound stayed to the left, while we found open water along the Boothia Peninsula. Next day (August 22nd) dense ice reached all the way to the coast at Cape Andreasen. 200 metres to the West was the white wall of solid pack ice, 200 metres to the East the barren shore. We had only 50cm of water under the keel and off the bow lay a closed barrier! Just a bit further ahead, the open water lay enticing. Only eight hours earlier two Kiwi yachts had passed here without this newly formed obstruction. We managed to turn around and get away only seconds before big floes drifting towards us from astern, could trap us down this dead end. I spent a restless night anchored somewhere along this coast, sheltered from drifting floes behind a huge grounded ice-mushroom in less than 3 meters of depth. The next day in thick fog I found a way back into Pasley Bay. Unfortunately this was the end of the calm days and the North wind started to push even more ice down Peel Sound and M'Clintock Channel. For nine days Nehaj was stuck 34 miles further on in Weld Harbour; ice blocked the way ahead to Bellot Strait, as well as back to Gjoa Haven. With each wind shift I had to re-anchor so ice would not push Nehaj onto the shore. During a short spell of South wind I left and tried to find a way, but after 14 strenuous hours in the ice we limped back to the anchorage. From emails and the SSB radio daily reports, I listened to the heavy activity in Franklin Strait, just a few miles away. The Canadian ice breakers were on full operation alert to free the small German cruise ship Hanseatic (probably a first in her 11 transits) and a French yacht on an opposite course. The officials in Pond Inlet had stopped yachts from continuing West due to the intense ice situation, sending them back to Greenland - a first ever. Yvan found shelter on 'Nehaj' for one afternoon, then he exploited the generous hospitality of the Dutch. He left his Cat alone for six days and stayed in warmth and good food. I had given him anchor chain, Bert supplied clothes and a superb extreme-temperature sleeping bag, as well as food from us both. On top of everything, Yvan was illegally in the country as he had never bothered about the entry formalities into Canada. And indeed, on September 2nd conditions were perfect! Only light winds and the huge ice-floes had opened up. Our little caravan started in first day light. Yvans little Catamaran was towed by the Dutch yacht all day and the gaps in the ice were just wide enough. We took turns in leading the way. Nehaj didn't even touch the ice and never had to push her path free with force. We managed all the distance to Bellot Strait and slipped through with the last favourable tidal stream. It was exactly those critical 90.4 miles missing for a successful passage into the Atlantic! But it was lousy cold, with snow flurries and watering eyes while searching for the gaps in the ice. Because of the extreme magnetic errors, the auto-pilot had been useless since Cambridge Bay and being alone on board I naturally had to hand steer all the time. I was dressed in my thickest clothes but every five hours I let Nehaj drift and went below for a short break. During the tow Yvan rested and in order to stay 'incognito' switched off his satellite tracker. Finally at the anchorage of Fort Ross I was truly exhausted, but Yvan headed into the night on his toy boat. But not before demanding from Dutchman Bert and myself, that we keep the tow of his boat secret– what a brazen Thank-you for all the generous help he had received. In Prince Regent Inlet my attention slipped after not spotting any ice for twelve hours. I was given due punishment when Nehaj slammed into a big ice floe under full sail with a speed of 6 knots, while I was sitting below drinking coffee. But she did not ride up onto the ice or slip off sideways, instead she rammed against the 2m vertical concrete wall of ice and came to a full stop! The solidly built hull and rig were trembling. Seconds later she tumbled along the edge like nothing had happened, picked up speed and was already steering towards the next solid obstacle of ice. No time to lower the sails, start the engine or to grab my gloves and jacket. For the next half hour we were sailing zig-zag in a maze of ice-floes through a nearly dark night. Miraculously gaps opened up, only just visible ahead - it was a spooky ride. Finally there was open water ahead, my fingers were frozen and I was still in shock. I let the auto-pilot carry on and rushed below to check the bilges – bone dry! While it was an easy start in Nome, conditions got a lot more demanding during the second half. In Lancaster Sound spray was freezing into icicles on the railing and transformed the deck into a skating platform during sail changes. Then the first autumn storm blew with >50kn. Fortunately I found shelter up a 60 mile deep fjord at the village of Arctic Bay. We had 10cm of new snow and I could trample Nehaj's name into the white carpet. After exactly one thousand nerve-wracking miles out of Arctic Bay, I was rewarded with the enormous spectacle of Polar Lights during my last night at sea. Gigantic shimmering curtains were waving right above us from one horizon to the other. They nearly touched the top of the mast and seemed to stretch into outer space. I felt really small, a bit spooked and most of all very thankful that Nehaj had brought me safely from the Pacific into the Atlantic ocean. I seriously considered wintering in Greenland at 64°N but then decided to keep on sailing South - that’s part of a single-handers freedom. With stops in Labrador (Sept 30th) and Breton Island, Nehaj arrived happily in the historic town of Lunenburg in Nova Scotia, on a latitude of only 44° N.
It's incredible, there are real trees, lots of maritime activity and especially good people. Global Warming made it possible to transit of the Nordwest Passage in only one season. But as 2017 showed that is no guarantee for the 'open' waters of recent years. This year every commercial ship needed help from ice breakers in Victoria Strait and all yachts had a difficult time. Nehaj made the 12th single-handed transit of the Northwest Passage. After the ten thousand mile long journey from Tasmania Nehaj travelled the NWP without drama or head lines – unsponsered and without damage. She is the smallest German yacht so far and the first eastbound solo sailing boat in one season. In general women are less likely to take risks, they are sensible and have a pragmatic sense of reality – no wonder there were eight male single-handers before me.